The third generation of the pioneering premium mid-size Sports Activity Vehicle redefines the benchmark in its class with a striking design, exclusive interior, seamless connectivity and innovative technology. With BMW Service Inclusive, you can drive into the future with confidence. Take care of your scheduled servicing costs on any BMW with a single advance payment and enjoy the peace of mind. Theres a range of packages to choose from to ensure BMW Service Inclusive has a programme to suit every BMW driver. Offering a choice of different term packages from 3 to 10 years, and distances from 40,000km to 200,000km; BMW Service Inclusive offers you complete confidence no matter which BMW you drive. Offering unprecedented choice and security for our commercial and consumer customers. With attractive repayments under the program, enjoying a unique combination of dynamic performance and luxury is more achievable than you think. BMW Full Circle is designed so you can enjoy the future with the security of knowing exactly how much your BMW will be worth at contracts end with a Guaranteed Future Value. * Terms and Conditions Apply, see for more information. 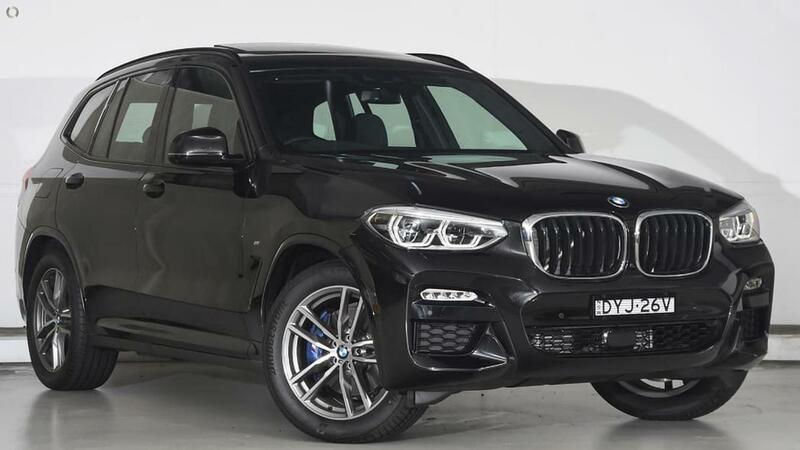 Don't miss this exceptional opportunity to own one of the most striking and unique X3 xDrive30d Wagon in our range at a massive saving from the new car price. Beautifully finished in Black Sapphire metallic over Black Vernasca Leather Trim with an equipment's level to match its show stopping looks and refined drive.